A colleague recently had a new client come to see them. The man's father had passed away, and the son had found the Will...the Will that his father had purchased online and signed, thinking his wishes would then be honored. Sadly, they won't be. The form Will that the father had filled out had spaces for specific bequests - specific items that he wanted to go to certain people. So the father had filled those out. Then he signed the Will in front of two witness and had it notarized. As the years passed, some of the things the father had left to people went out of his estate - cars were sold, bank accounts were closed and new ones opened - and some of the people he was leaving things to had died. And no where in his Will were these things taken into account. There were no contingent beneficiaries, people who would inherit if the first beneficiary died before the father. The residuary clause - the catch-all clause that says "anything else I may own at the time of my death goes to the following people:" - wasn't even on the form. When a Will is properly drafted with an attorney, the attorney will ask questions of the person making the Will - "You want to leave that account to Sharon, ok, do you want to leave all bank accounts to Sharon? What if you close that account and open another, what would you like to have happen? What if Sharon passes away before you? Do you want her share to go to her children or to her siblings? Are her children minors? Do any of them have special needs? What about the grandson you mentioned who's having problems with drinking? - and so on and so on. That is the reason to have an attorney assist you with this process. We know the questions to ask, and we know what to do with the answers. We know how to read the hesitation in your voice when you are trying to decide who to choose as guardian or executor, and how to tease out more information so that you can make the best decision for your family. And we are here when your life changes and you or your family need some guidance on what to do next. We are here when the Power of Attorney you signed has to be used by your children and the bank is giving them a hard time. We are here when your sister has to use your Health Care Proxy and she can't find her copy and she doesn't have a key to your apartment because she never thought anything like this would actually happen. So, what will happen to that father's estate? The things that are still in the estate and are mentioned in the Will will pass through the Will. The things that are left to someone who has predeceased would have passed through the residuary clause to someone else of the father's choosing but will now pass by Massachusetts Law, through the Intestacy Statue, which differs greatly from the father's wishes. Those things which were not mentioned in the Will at all, the new bank accounts the father had opened, those will pass through the Intestacy Statute as well. For some things, the Court's guidance may need to be sought, for others a guardian needs to be appointed for a minor child who is inheriting "unintentionally", all of which involve more time and more money, which the father was trying to save by doing it himself. There are ways to keep costs under control when preparing your estate plan. Buying documents online just doesn't happen to be one of them. Working with an attorney ensures not only that your wishes will be honored, but also that your estate can be administered in the most timely and cost effective manner after you pass away. I always tell my clients "when your affairs are in order, I become the last person your family calls in the event of a crisis and instead of the first," which is how it should be. Do You Need to Change Your Will When Your Finances Change? As you read about the state of finances in the world, and look at your own financial situation - you may be wondering if you need to change your Will or Trust to account for the change in your finances. As is often the answer, it depends. It depends on how the document is written, so you'll want to read over your Will or Trust, and it's a good idea to have your attorney review the documents as well. If your estate planning documents distribute your property by percentages, or have all your property distributed to one person, they probably don't need to be revised just because the size of your overall estate has shrunk. For instance, if you have 50% of your property distributed to your son and 50% to your daughter, then the distributions will be equal whether your estate has $500,000 or $50,000 in it. However, if you made specific distributions of certain property to people, thinking that they would be approximately equal - you may want to revisit those. For example, say you drafted your will a couple of years ago and you left your house (worth $600,000) to your son, and your stock accounts (worth $600,000) to your daughter thinking that would make for an equal distribution to each child, as you wanted. And today your house is worth $500,000 but the stocks have gone down to $350,000. If you were to pass away today, the distributions to your children would be unequal, which may not be what you want. You should speak to your attorney about how to revise your will to make sure the distributions reflect your wishes. Another way an estate can end up being distributed unequally is if you spend a large portion on the cash or stocks, and leave the child who is inheriting those items with a smaller distribution than you may have wanted. Or, in the above example, if you sold the house and put the proceeds into stock - you would no longer have a house to leave to one child, and the stock account would be significantly larger than you had intended. Your attorney can help you draft your will or trust so that your wishes can continue to be carried out even as the size your estate or how it is held fluctuates. It's a good idea to revisit your estate plan every 3 to 5 years, but you don't want to have to be doing it every time the stock market takes a dip. Should You Put Burial Instructions in Your Will? I often have clients ask me if they should include their burial wishes in their Wills. I always tell them "no." Your Will is the document that outlines how you want your property divided after your death, and hopefully it will not be the first thing people are reaching for when you pass away. Your burial wishes should be written in a separate document and kept in a safe place. You may want to give copies to your family members or clergy, as well. You can meet with a Funeral Director to do "pre-need" planning and prepay your funeral. Some of my clients have even written out the schedule for their memorial services, down to the music they want played and the type of flowers. While these may seem like morbid topics, it makes things easier on those left behind if they don't have to be making too many decisions during their time of grief. The What If... Workbook by Gwen Morgan has an entire section devoted to end of life wishes and is a great way to have all of your important information in one place. I have posted before about the importance of naming an alternate beneficiary on your life insurance policies, so that the proceeds can be distributed to someone else in the event that the primary beneficiary predeceases you. However, it is likewise important to name alternate beneficiaries in your Will. For example, if you have one child, and you leave everything to that one child, what if he or she predeceases you? Where do you want the funds to go then? Did you mean for them to go to your grandchildren? Or you have multiple children and one predeceases you. Did you want their share to go to their siblings or their children? Or, perhaps you wanted the funds to to go to your daughter-in-law who took such good care of you. Without specifying so, the money would not go to her, but rather to your next closest relative who may be someone you have never met, or do not even like. Or maybe you would like your college, or a certain charity to be the contingent beneficiary. Maybe the person who would inherit the funds by operation of law is a spendthrift, or addict, or has special needs and the money would be better protected in a Trust. Unfortunately, you will not be around to explain what you wanted, and the statutes which dictate how the funds will pass without your direction will not necessarily match your wishes. When thinking about your Will, you must always think "What if this person passed away before me, where would I want their share to go?" Then talk about it with your attorney, who will help you make sure that all contingencies are covered. I often meet with clients who have Wills that were drawn up 20, or more, years ago. Usually the clients have copies of the Will and the originals are with the attorney who drafted the Will. And many times the clients have moved around since the original drafting, and many more times the attorney has moved offices, or even retired. Did you think to tell your attorney from 20 years ago when you moved last year? What if he or she was retiring or passed away and the attorney taking over the files needed to notify you? Would they be able to find you? If you do not have your original Will, make sure you check with the attorney who does have it to make sure they have your current contact information to be able to notify you in the event that they move their office, or are retiring. Even better, have your old Will reviewed to make sure that it is still an accurate reflection of your wishes, that the people you appointed as Executor are still around, and that your planning needs have not changed in the last 20 years, which they probably have. If you had small children when you first drafted the Will, chances are they won't be needing those guardians that you appointed in the Will, and you may even want one of your children to act as Executor now. And if you are nearing retirement, facing a long term illness or have a child with special needs or addictions you need to know what types of protections are available to you and your family. So find your Will (the original), dust it off, and have it looked at by an attorney. You'll be glad you did. Many of my clients want to remember certain charities in their Wills or Trusts. They may say "I want to leave money to my church" or "I'd like to set aside some funds for the Salvation Army" or perhaps another charity that has local and national branches. One thing to keep in mind when thinking about leaving money to a charity, is that it is important to consider where and how you'd like the funds to be used. Your church may have several different locations where the funds can be distributed, and if you want your money to stay in your local parish, you'll need to make sure it isn't left to the state or national branch. You may even be able to specify that you'd like it to be used for a certain purpose at your local level - such as religious education, upkeep of the facilities or other special uses. Likewise, the Salvation Army and similar charities have both local and national branches. If you don't specify where you'd like the funds to go, they very often end up at the national level, even if you wanted them to stay in your community. If you are leaving funds to a hospital, which are sometimes considered charitable organizations, you can also specify that the funds be used for a particular purpose. If you are unsure of your options, you can contact the charity or religious organization yourself to speak to someone in their planned giving department, or you can ask your attorney for assistance. Many times, the attorney has dealt with bequests to that charity before, and can provide you with some guidance in determining how you'd like the funds to be used. And, after you've made your decision, your attorney will coordinate with the charity to ensure that the appropriate wording is used in your estate planning documents. When discussing charitable giving with your family, and ultimately with your attorney, make sure you specify where you'd like the funds to be left, and how you'd like them to be used. This way, you know your wishes will be carried out and that your funds will be used the way you intended. The American Bar Association has book called the Guide to Wills and Estates available for downloading from their website. The book guides you through the different estate planning tools, and talks about how planning now makes things easier for your family later. While advice from a book does not replace a relationship with an attorney, it can certainly help you figure out what you want your plan to look like, and help you understand some of the things you'll be talking about with your attorney. And, the book is written with general advice that is not specific to any one state, so keep in that some terms or processes described in the book might be slightly different in your state. If one of your New Year's Resolutions is to get your estate plan in order, this book can be helpful in getting you started, but you still need to be the one to actually call your attorney and make the appointment. Should You Discuss Your Plans with Your Children? Clients often wonder if they should share their estate plans with their children. Now, these are not clients who are setting up elaborate trusts with millions of dollars that will flow down to future generations, these are just regular people who worked hard all of their lives and are now trying to figure out how to best divide up their estate. My answer to this question is, of course, it depends. If you are dividing your estate up equally among all of your children, you may think there is no need to discuss your plans with them. However, if you are appointing one of them as the executor/executrix, you should let that person know that you are planning on appointing them, and you should let the others know your choice. If you can't decide who to appoint, you might want to talk to your children to find out if they have a preference. One might be better equipped to take over management of your finances when the time comes, while another feels more comfortable making medical decisions. It gets trickier if you have a child with financial, drug or alcohol problems who you've either chosen to disinherit or have made special provisions for through a Trust. Often times, in cases like this, inheriting a large sum of money (even $10,000.00 at one time) could be harmful or deadly to someone with drug or alcohol problems. If you are in contact with this child and you think they would understand the reasons for your decisions, you may want to talk to them. If you are not in contact with the child or you think that bringing it up would cause problems, it may be best to not address it at this time. Be aware that your child will in all likelihood find out the way you've distributed your estate after your death, and may become angry at their siblings who have inherited more. You might consider drafting a letter to be opened by that child after your death, which explains your reasons. If you do decide to talk to your children, you could follow the lead of one of my clients who threw a pizza party at her house and invited her children to come and talk about her plans for the future, who wanted to be appointed as what, and how they wanted certain items of her personal property distributed among them. It might have even prompted her children to go home and think about their own plans for the future. Changed your mind? Make sure you change your will. The Boston Globe had an article today about a Rhode Island man who had disinherited his two young children, and their mother's fight in court to obtain some of the estate for their use. Family members on both sides of the dispute agree on one thing: Corky Sliwkowski loved his daughters dearly. In the two years before he died, he saw the girls frequently, bought a camper to take them on road trips, and planned to expand his Rhode Island home to accommodate their visits, Joe and Barbara Sliwkowski said. But Corky Sliwkowski never changed his will to reinstate his children. His brother and ex-wife said they believe the document was written when he was in a dark period caused by the manic-depressive disorder he had been diagnosed with a decade earlier. They said his illness could have caused him to forget what the will said, or postpone revising it. The dead man's longtime pastor, the Rev. Joseph Creedon, of Kingston, R.I., said he believes Sliwkowski would have changed the will in time. "You don't expect a will to come into play for years," he said. "So if you want to change it, you feel you have plenty of time." While no one can ever know what he was thinking, it appears that his family and friends believed that he had changed his mind about disinheriting his daughters in his will. Sadly, he never changed his will to reflect his wishes. The article points out that he did leave life insurance for the children so the finances may not have been an issue, but what child wouldn't feel hurt at being left out of their father's will? If you've left someone out of a will and have had a change of heart, don't wait to make the changes to put them back in. You never know what life holds. When Do you Buckle Your Seat-Belt? Do you buckle your seat belt when you get in the car? It's easy, doesn't take much time, and you know you'll be protected in the event of an accident. Do you figure that since things are fine now, you'll wait to fasten your seat belt until you feel the car start spinning out of control? Unless you have the reflexes of Superman, you probably won't have enough time. Or do you just never buckle your seat belt and figure that your family and other professionals can handle things in the event of an accident, because you are just too busy to do it now. What does this have to do with estate planning? Well, other than the fact that you hopefully have your plan in place in the event of an accident, it seems that my clients fall into one of these categories when it comes to planning for the future. There are those who want to be prepared, and who get their plan done in a few visits. They don't have to worry about what will happen to them or their loved ones in the event of a crisis. They have had time to carefully think through their decisions, and make sure everything is just how they want it. They are calm when they come to see me, and relieved when they leave. They have their seat belts securely fastened and can enjoy the scenery. Then there are those who put off planning until it is almost too late. They are leaving the country in 3 days and only have time to do a Wills, Powers of Attorney and Health Care Proxies and not the Trust and other planning that they wanted to do. Or their mental capacity is slipping and the time they have to plan, before someone else needs to handle their affairs, is very limited. What they have is better than nothing, but it will leave some complications for their loved ones to deal with in the event of their death or incapacity. The expenses are higher, the risk of running out of time is greater. They are stressed out when they come to see me, but mostly relieved when they are done. Then there are those who make no plan. These are the saddest cases. There has been a crisis in the family and instead of being able to concentrate on their parents or other loved ones, the children are visiting the attorney to try to sort out the legal mess. They are trying to figure out what their parents have so that they can pay for their care, or apply for Medicaid for them. Maybe they are having to go to Court to get a guardianship over their parents so that they can sell the house or handle the finances. Maybe there are siblings who don't get along and can't agree over who should do what, and it's back to Court to let the judge decide. Things that could have been decided when the parents were competent, are now being fought over. Adult children who have their own lives and families to think about are having to jump through ten hoops to accomplish the same thing that would have been completed with a simple task had their mother or father or aunt or uncle executed a Power of Attorney. These clients are sad, stressed, worried, angry and scared when the come to see me. As we work through the issues at office visits, home and hospital visits, trips to Court and telephone calls the burden starts to lift, but the feeling of relief does not come as soon or in the same way as if there had been a plan put in place when there was time. If you are ready to stop thinking about it and start planning, please call me at 781-749-2284. I sometimes have people say to me, "It's just me and my wife, we have no kids yet, and if I die all my stuff goes to her. We don't need Wills." This makes me cringe, because I have seen what happens in this situation, and related ones, if there is no Will. In the above situation, if all the property is held jointly, then yes, upon the death of the first spouse all of the property will pass to the survivor. But, what about a car accident where both spouses die? (Yes, it happens.) Then, each spouse is deemed to have survived the other, and their property passes to their other heirs (siblings and parents). If everything was owned jointly - it is split down the middle and divided among the 2 families. That's fine, you say, I want my family to get my stuff. But, what if your mother or father is receiving Medicaid coverage in a nursing home? Their share would disqualify them from coverage and be consumed quite quickly by the nursing home, when you may have another relative who needs it more. What about your sister with the gambling problem? or your brother with the drug problem? or your brother in law who is on SSI due to his disability? Is inheriting a large amount of money a good thing for them? What will the ramifications be? Did one spouse come to the marriage with significantly more assets and now everything is held jointly? Will that spouse's family try to fight for a bigger share? And who will be appointed the administrator of each estate? When you make a Will, you get to decide who will manage the estate. Without a Will, the Court will decide based on who petitions to be the administrator and who objects to the petition and why. That person must also purchase a bond, which could have been waived in your Will. Is this really something the families should be going through at a time of grief? Drawing up a Will now can save your loved ones time, money and the hassle of picking up the pieces when you die. They will have enough to deal with, spending more time than necessary settling your estate should not be one of them. If you are ready to get started, you can call me at 781-749-2284. You Have a Plan in Mind, but Do You Have a Plan in Place? I was speaking with someone from the Planned Giving Department of the Salvation Army today. She was relaying the story of a woman who wanted to leave a donation to the Salvation Army in her Will. She had an old Will that left her money to some nieces and nephews, she also had several bank accounts that named one niece as the beneficiary on the account (the person who was to receive the money upon her death), and she had a hand written note listing who she wanted her money to go to, including the Salvation Army. Despite her wishes to leave a bequest to the Salvation Army, she never saw an attorney to make sure that her plans would be carried out. When the woman died, all of her accounts were automatically payable to the one niece listed as the beneficiary. The other nieces and nephews listed in the Will inherited nothing, since the funds passed outside the Will. This has lead to problems in the relationships between the cousins, which could have been avoided had the aunt understood that her Will would not adequately provide for them. In addition, because she never formalized her plans, there was no money to leave to the Salvation Army. Thankfully, the niece found the handwritten note and voluntarily made a donation in her aunt's name, but she was under no obligation to do this and there was no guarantee that the niece would have found the note, let alone chosen to make a donation. It is good to have a plan in mind, but after you make your plan, you need to see an attorney to make sure that your plan will actually be carried out the way you intended. You've scheduled an appointment with your attorney, and the meeting to talk about your estate plan is next week. You have the information form she asked you to fill out, but in addition to listing your assets and income and children, there are other things to think about that don't fit so nicely into a box on a form. These are some of the things your attorney will ask you about, and that you (and your spouse or partner) should think and talk about before the meeting. How are your assets held? Are the beneficiaries on your life insurance policies and retirement accounts up to date? Have you even assigned beneficiaries? Do you have contingent beneficiaries listed? Do you have any children (or grandchildren) with disabilities? This can include mental or physical disabilities, and drug and alcohol addiction. Be sure to bring up these issues with your attorney, and she can advise you on the best way to plan. Who do you want to carry out your wishes? You need to think about who you want to choose as your agent under your Durable Power of Attorney, the executor for your Will, , your Health Care Proxy, the guardian for your minor children, and the Trustee for any trusts you might need. Have you talked to these people yet about your plans? Do you have old Wills or Trusts, or other legal documents? Gather these up and bring them with you. Your attorney will probably want to review them. What are your other concerns? No matter how trivial (or embarrassing) you think they are, if they might matter when making your plan, ask them. If you think of questions while preparing for the meeting, write them down so you don't forget to ask your attorney. And if you think of more questions after you leave, call her. January is a great time to get organized and make plans for the year. Attorney Joel Schoenmeyer, who writes the Death and Taxes Blog in Chicago, has a recent post called Organize Your Financial Life in 2007. He lays out, month by month which tasks you should tackle such as making an appointment with a financial planner, meeting with your accountant, getting your taxes in order, opening a safe deposit box, reviewing your insurance policies, and more. However, he puts estate planning all the way in October. I have to recommend that at least part of your estate plan - the Durable Power of Attorney - be done in the beginning of the year. Then if something happens to you, the person you have named as your agent can continue to organize your financial life and manage your affairs for you. People make New Year's Resolutions about a lot of things - getting in shape, stopping smoking, getting organized, drawing up their Will and other planning documents. And just as your personal trainer can give you information about the best way to get in shape and guide you on your way, your doctor can offer assistance in stopping smoking and your local organizing whiz can help you find the best way to manage your paper - your attorney can help you figure out the best way to form your estate plan. Don't be afraid to contact your attorney and say "I know I need to have an estate plan, but I don't know what I need and I'm not sure how to distribute things." That's OK. I have many clients who call up with the same concerns. The initial meeting with my clients involves gathering a lot of information from them, and asking a lot of questions to help them form in their own mind what they want. Through the questions I ask, they can figure out who the best person is to serve as their agent under a Durable Power of Attorney, who they should appoint as guardian for their young children, or as trustee of their trust. And through our conversation, we can decide if they just need a will, or if a trust of some sort would work best for them. So, give your personal trainer a call and let him know your fitness goals - he can help you get there. Then, make an appointment with your attorney and let her know what your goals are for your and your family's future - and she can help you get there. Today's Boston Globe Magazine had a column regarding some of the struggles parents go through when deciding when and how to make their estate plans. It seems like all this father needed was a little nudge from his daughter. If your children can't talk yet, or haven't brought up your estate plan, don't let that hold you back. My 5-year-old daughter, Hazel, was snuggled up on my lap not too long ago, and as I marveled at how quickly she's growing up, I found myself telling her, "You know, even when you're a grown woman, with your own family, you will always be my little girl." She clearly liked the notion and replied, "And you will always be my daddy, even when you're dead." That Disney moment turned Tarantinoesque in a hurry. But it also made me realize that if a kindergartner has figured out that I'm not immortal, it was time to draw up my first will and testament. For 11 years of marriage, we'd been walking a tightrope without a net: Where there was a will, there was a wait. At first there were no assets, at least until we'd opened all the wedding gifts, and no kids to provide for should we die unexpectedly. By the time Hazel was born, any assets we had accumulated were quickly eaten up by the expense of a new baby. But with the birth of Teddy, our second child, the purchase of a home, and the establishment of college funds, we could put off the will no longer. What Does "Per Stirpes" Mean? Does your Will or trust contain the phrase "per stirpes"? Did your attorney explain what it means? Have you forgotten by now? Stan Rule, an estate planning and elder law attorney in Canada, has a great post explaining clearly what this phrase means and some of the ways it can be misused. I sometimes use "per stirpes" to describe a method of distribution among issue (in other words children, grandchildren, great grandchildren etc.) 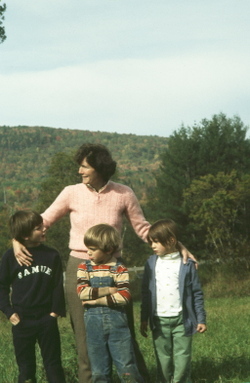 For example, I might direct my trustee to give what is left of my estate after paying my debts and funeral expenses to “those of my issue who survive me per stirpes.” When I write this, I mean that my estate will be divided equally among my children, but if a child has died before me, that child’s share will be divided equally among those of his or her children (my grandchildren) who are alive at my death. If both a child and one of that child’s children die before me (“my deceased grandchild”), then those of my great grandchildren who are the children of my deceased grandchild will share the portion that would have gone to their parent. As you can see, using "per stirpes" is a lot simpler than trying to include in a Will or trust all of the different possibilities that could arise, but it needs to be used correctly or it could lead to problems down the road, as Stan points out in his article. How Old Is Your Will? I went to see a new client last week at her home. She wanted a durable power of attorney and a health care proxy. I asked if she had an updated Will, and she said "Yes, I don't need one of those." I asked to see it. It was made in 1962. Other than the fact that her husband, the named executor, had passed away years ago, and her children no longer needed the guardians that had been appointed in the Will, the terms were essentially how she wanted things distributed - to her children in equal shares. To a lay person, the Will looked fine. But, it was the things that were missing that a non-lawyer would not know to look for which made me recommend to her that we draft a new Will. I first explained that her Will did not contain a self-proving affidavit. This is a statement signed by the testator and the witnesses and then notarized stating that the testator has signed the Will voluntarily, that he or she is over 18 and not under any undue influence. The purpose of this affidavit is to prevent having to track down the drafting attorney and witnesses when it is time to probate the Will. In this case, the witness names were illegible and the attorney had most likely retired, or even passed away. In the past, when people moved around less, it was common for families to return to the attorney who drafted the Will to have it probated. The lack of a self-proving affidavit guaranteed that this would happen as the family needed the witnesses, who were most likely the attorneys secretaries or associates, to have the Will proved. These days, families move more, people don't stay at the same job their whole lives and it would be extremely difficult to find witnesses 20 or 40 or more years after the drafting of a Will. The other clause that was missing from this Will was one granting permission to sell real estate. Without this clause, the executor would have to petition the Court for a license to sell my client's home, the major asset in her estate, after her death. This is a costly and time consuming process, which is easily eliminated by including a permission to sell clause in the Will. When you are having your attorney draft new documents for you, be sure to bring the old ones with you to the meeting. Even if you think what you have is fine, the attorney will be able to spot any issues that may cause problems for your heirs down the road, and remedy them. Do you think estate planning is just for couples and families? Do you think you don't need a Will or a Power of Attorney because you aren't married and don't have children? Think again. Having the proper documents in place is almost more essential for a single person than a married one. Consider this: is anyone else listed on your bank accounts with you? What about your house or condo that you own? Does your family know and respect your wishes regarding health care and end of life decisions? If something happened to you and your family or close friends needed access to your accounts to manage your affairs, they would have to go to court to obtain a guardianship over you - a timely, expensive and public process. By executing a durable power of attorney, however, you are able to choose the person you want to handle things for you, and they can immediately begin to act on your behalf if you become incapacitated, without needing the Court's permission. Have you talked to your family about your wishes regarding health care decisions and end of life care? Maybe you have talked about this with a close friend or significant other and would feel more comfortable having them make those decisions for you if you are unable. Unless you've signed a health care proxy appointing the person of your choice, they won't be able to make those decisions for you in the event of an emergency. The doctors may look to your family for input, but if you aren't close to your family or if your family is not in agreement with your wishes, it could lead to conflict and or result in decisions that you would not have made for yourself. Take the time to decide who you want to appoint, and sign a health care proxy naming that person. Even if you are unmarried, and don't have children, you probably still need a Will. There is a saying: "If you don't have an estate plan, the State has one for you." If you own real estate, or have investments or savings, and you don't have a will to specify how you want them to be distributed upon your death - they will be distributed according to the intestacy statute in Massachusetts. This means they will be distributed to your next of kin: your parents, or if they are no longer living, then to your siblings, and on down the line. But what if you want things to be distributed differently? For instance, you have a disabled sibling and receiving an inheritance might disqualify them for certain essential services they have been receiving, or you have a favorite niece and you'd like your property to be put into a trust for her benefit. By making a Will, you get to decide to whom and how your property is distributed. After all, it's your stuff and you worked hard to earn it, shouldn't you be the one to decide where it goes? While the terms of each of these documents will vary depending on your particular situation, these are the five basic estate plan documents that everyone needs. This is perhaps the most important document, even more so than a Will, because this is the document that will ensure you affairs continue to be managed, by someone you trust, even if you become incapacitated. This document allows someone you name, called your attorney-in-fact, to manage your bank accounts, your real estate, sign things on your behalf and in general perform any act with relation to your property (as opposed to your person) that you could have performed if you were able. A durable power of attorney will often make a guardianship or conservatorship unnecessary, but there can be a provision in the durable power of attorney to nominate the attorney-in-fact to act as your guardian should the need arise. The attorney-in-fact's power to act on your behalf ends at your death. Camie Pickett, an elder law practitioner in Arizona, has a great post on choosing an Executor for your estate. An Executor is the person you name in your Will to perform the duties necessary to open, manage and close your estate after your death. Camie explains the duties your Executor will have, which are essentially the same in Massachusetts as they are in Arizona, and gives good advice about carefully selecting your Executor. I know I need a Will, now what? Or, choosing guardians for your children. Leanna, now that I have a baby, I guess we need a will. What do we do next? Who most closely matches your parenting philosophy? If you co-sleep, home-school and practice gentle discipline, consider the parenting style of the proposed guardians and where your children would feel most comfortable being raised in a manner you would have chosen for them. What age/health are the proposed guardians? Your mother loves your children, there is no doubt about that. But that doesn't mean that she should be the guardian of them. Consider her age, health, living arrangements (is there room for your three moppets in her 1 bedroom apartment? ), and lifestyle (does she love to travel at the drop of a hat, or does she barely leave the house?) It might be more appropriate to choose someone closer to your age, maybe with similar aged children. Where are the proposed guardians located? You'll have to consider whether your choice of guardian would cause the children to be moved across the country to live with their guardians, or whether they could stay in the same school and neighborhood. Do you want to choose an individual or a married couple? Whether you've chosen your best friend from high school or your brother, you need to consider whether you want to name that person's spouse as well. Remember, they could get divorced which could complicate the scenario. You might be better off just naming one person, with an alternate named if the first guardian is unavailable. Once you've made your choice, have a conversation with your proposed guardian about it. Then contact your attorney to draft the will before you change your minds. Also, you might want to write letters, to be kept with the will, to people who might be upset by your choice explaining why you chose the guardians you chose. Hopefully these letters will never need to be read, but they will help smooth things over if they ever are.